Hello everyone! Valentine's day is just around the corner and I seriously don't fancy getting caught unprepared! In all honesty I don't particularly love this day but I'm addicted to everything that has a heart shape! 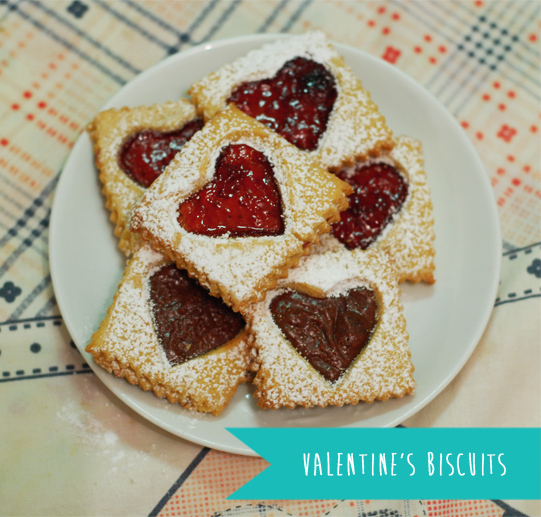 So I've decided to share with you this lovely biscuits recipe, obviously heart shaped. I've wanted to go the extra mile with this recipe adding either jam or chocolate for a Valentine's day worth of it's name! Let's begin! jam or chocolate for the filling...yummy! Preheat the oven to 180 °C (350 F). Mix the butter and the white sugar in a bowl, add the egg and stir them together. In the end add the sifted flour and keep mixing until the dough seems solid enough. Let it rest for one hour and then smooth the mixture and cut it with a shape of your liking (I've used a square and a heart shape). Place the biscuits on a greased cookie sheet. Bake for 15 min until they have a golden brown color. 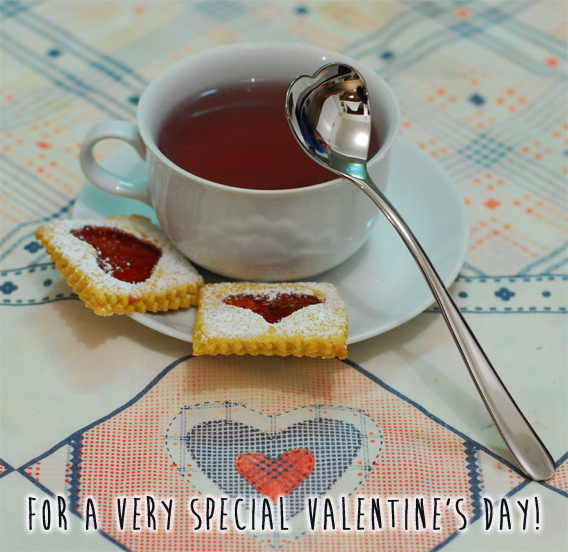 Enjoy your special biscuits, for a very special Valentine's day! DIY - Make your own doll!